The latest chapter in the James Bond saga hits theaters this weekend. As we prepare to find the perfect tuxedo and cocktail dress to wear to the “Spectre” premiere, our minds are also busy thinking about the holidays. The dollars spent in the last months of the year are the most important for many businesses, especially in the retail sector. And, as a man who gets things done, we found 6 reasons Mr. 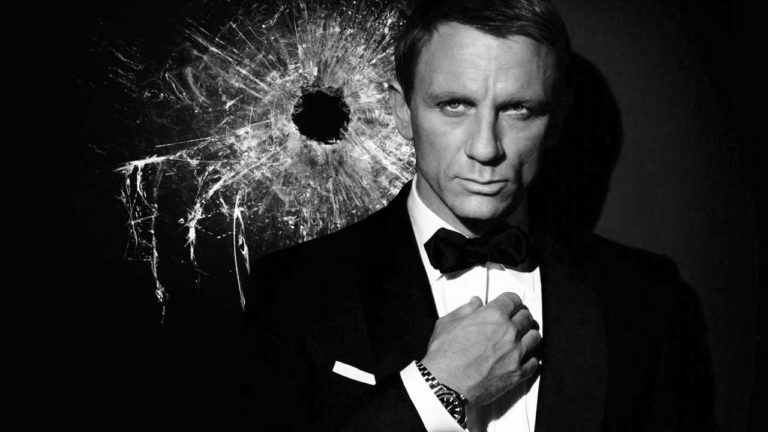 Bond would be a wise choice to head up your marketing team this holiday season. The Man Is Relentless – Regardless of who has filled the shoes, the man does not stop. Whether he’s escaping from Ft. Knox or hunting down a former MI6 agent in the depths of the jungle, nothing stands in his way. And that’s exactly the type of mentality you have to have during the most competitive time of year for advertising. He Embraces Technology – He has every gadget you can think of. So we tend to think he’d be looking at online trends. Those show that more people than ever before are planning on doing their shopping online this season and doing it earlier. He Knows Women – 45% of women in 2014 planned a holiday budget. It’s not unreasonable to assume that they’re doing the majority of holiday shopping for their families, as well. The lesson? Make sure you’re paying special attention to the women in your audience(s). He Excels At Improvisation – Much like our friend Rick from The Walking Dead, James Bond is a quick thinker, and even quicker at taking action. Have a plan, but be ready to take advantage of an opportunity when it presents itself. No Job Is Beneath Him – No matter what it takes, he gets the job done. Period. That’s the kind of leader you want. Someone who is willing to do every task required of the team to achieve success. He’s Wonderful at Celebrations – At the end of a long holiday season, you want someone who knows how to plan a helluva party. Can you think of anyone better than James Bond at planning a great celebration for your team? Ok, Jim in accounting throws a great Halloween party, we’ll grant you that. But still. What plans do you have for your holiday campaign? We’re not James Bond, but we do know how to drive serious success for you this holiday season. Call us or email us to get started.